ELSA Delegations -haku on nyt auki! Hakuaikaa on sunnuntaihin 23.09.2018 klo 23:59 (CEST) asti, joten kannattaa toimia nopeasti! 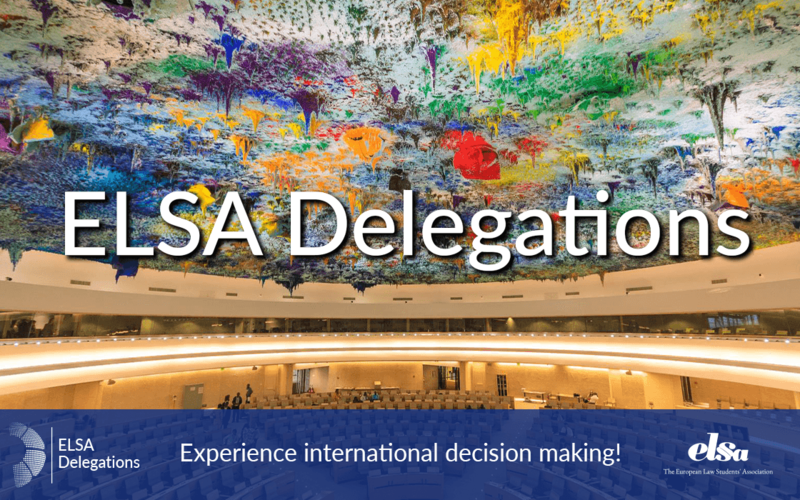 Delegations – Your opportunity to participate in United Nation’s meetings! Would you like to get a chance to follow international decision-making already during your studies? Are you interested in finding out how International Law works in action? ELSA offers a unique opportunity to participate in the sessions of UN and other institutions as being a part of ELSA Delegation. These delegations consist of 4–5 ELSA members. The sessions take from a couple of days to a week and during the time you will have an opportunity to network with your own delegation and other organisational representatives. Participating in ELSA Delegation will give you a unique chance to create an international network and gain an impressive mark to your CV. Applying for ELSA delegation is free. You can apply by submitting a motivation letter and your CV on https://delegations.elsa.org/open-calls/. More information can be found on the ELSA Delegations’ webpage. You can also send an email to seminarsconferences@fi.elsa.org. The application period ends on 23th of September at 23:59 (CEST) so submit your application soon!